Improving the quality of care provided, increasing the productivity of medical staff and reducing the costs are current trends in healthcare. The BTL CardioPoint-NET positively influences all 3 parameters at the same time. 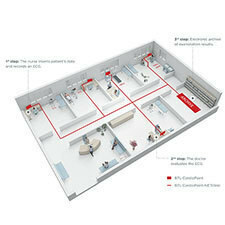 The versatility of the product offers a solution for small outpatient medical facilities as well as for larger clinics and hospitals that require a tool for quick and efficient management of patient and examination information. 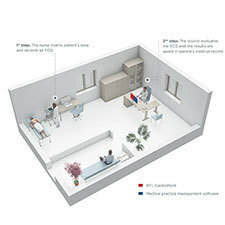 The BTL CardioPoint-NEToffice supports communication with commonly used medical practice management software. By integrating the BTL CardioPoint into ambulatory software, cardiovascular examinations can become a natural part of every outpatient practice. 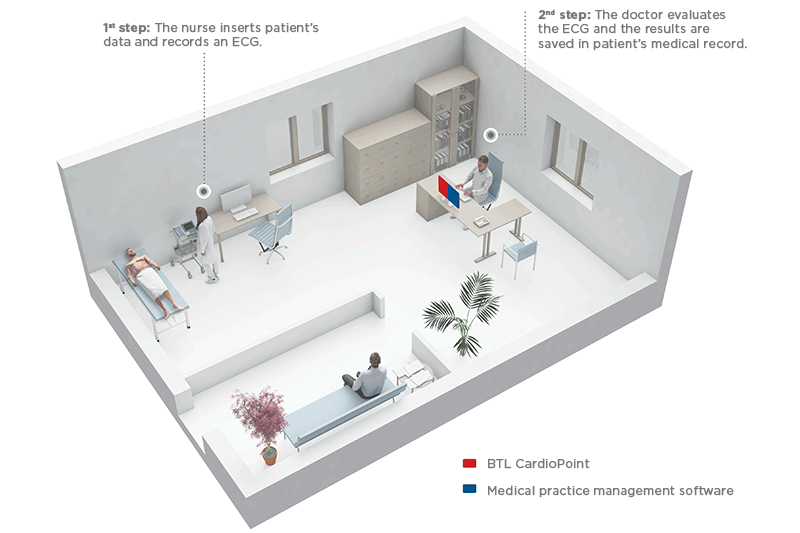 The BTL CardioPoint-NETclinic is a solution that brings easy interconnection of individual computers with the BTL CardioPoint. 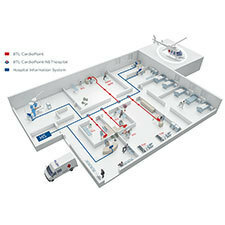 The network enables sharing of complete cardiology records including patient data within the medical facility. 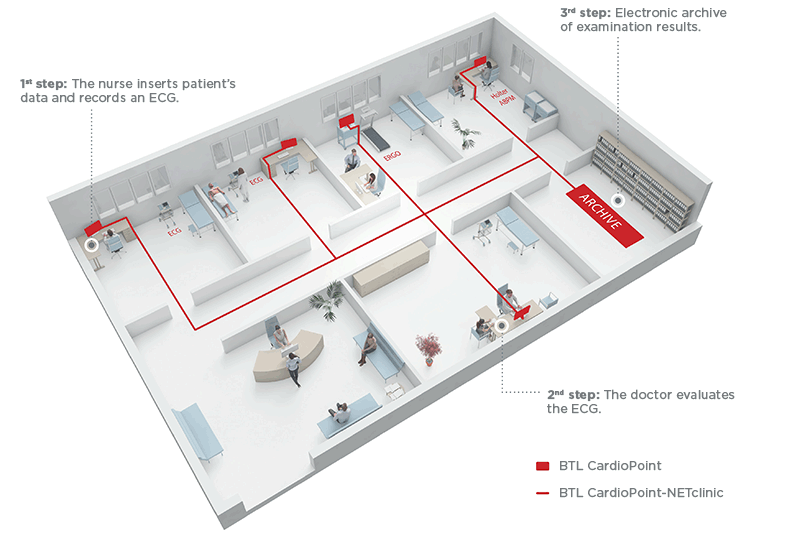 The BTL CardioPoint-NEThospital ensures easy access to cardiovascular examinations in large medical facilities providing healthcare for several hundreds of patients every day. 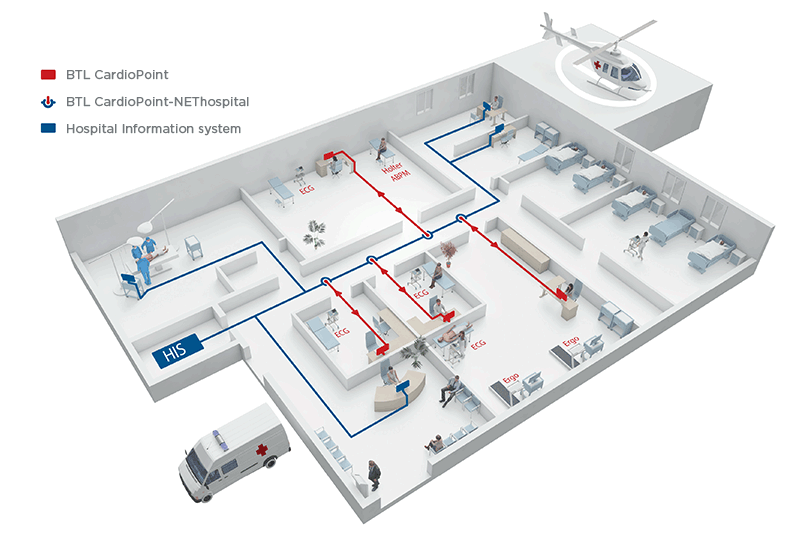 It facilitates communication between the BTL CardioPoint system and the hospital information system using the world most broadly available HL7 communication standard.